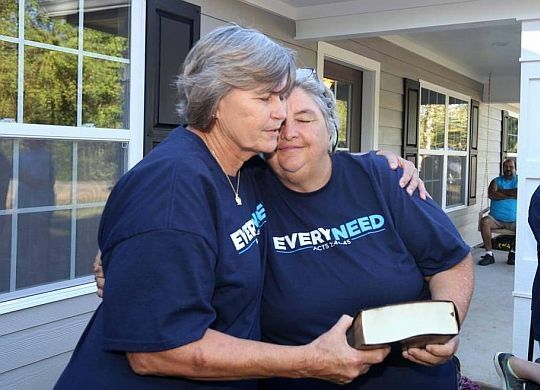 Church, Fuller Center volunteers dedicate new home in Ocean Springs, Miss. When Hurricane Katrina struck more than a decade ago, the home of Nancy Watling and her family desperately needed repairs. As more than 10 years came and went, conditions only became worse. But thanks to a partnership between First Presbyterian Church of Ocean Springs, Miss., and The Fuller Center Disaster ReBuilders, the Watling family has a beautiful new three-bedroom, two-bath home in the Virginia City neighborhood north of town. The two-week blitz build involved more than 230 volunteers and culminated with a home dedication on Friday.